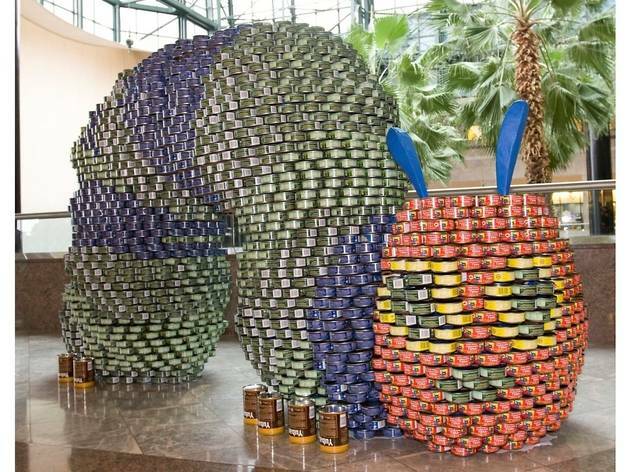 Architects and designers take part in this competitively-spirited exhibition to create giant sculptures from food cans. Teams from Allies and Morrison, Arup, John McAslan & Partners and other companies are taking part in the event, which celebrates its twentieth anniversary this year (but has never taken place in London before). After the exhibition the cans are collected and redistributed by food charity FareShare to communities across the capital. Competition build day is on June 24. The champion is named after judging on June 27. 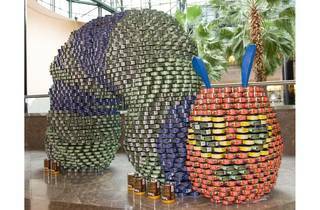 The winners compete in the International Canstruction competition, held next year in the USA.